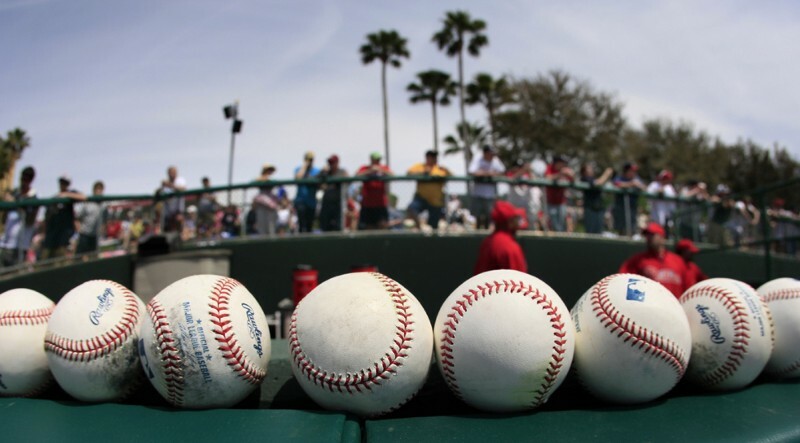 Spring Training!!! Get ready for the season. Hi I’m Greg McIntyre, I’m here with Hayden Soloway and today we are talking about spring training. I thought about this because it’s coming up to spring training season for baseball but this is about spring training for life and getting your bases covered. There are four foundations of elder law that everyone out there from eighteen to one hundred and fifty years old should have covered. So Hayden, what do you have for us? HS: Well, we talked about covering our bases and going through the steps to accomplish our goals and I got curious about baseball in general. To me baseball is little league and weekends at the ball park but I started looking at the stats of baseball and there are some interesting things here. Most baseball fans know that Pete Rose has the all-time record for hits, four thousand two hundred and fifty six (4256), and he played three thousand five hundred and sixty two (3562) games. GM: And regardless of what anyone things of him, he was the best player to ever play the game of baseball, ever. That’s my opinion. You’re going to disagree with me because you’ve got the stats. HS: No, well, I’m a Cal Ripken fan, he was there every single day and he was dependable but I have become a Yankees fan because my husband is from Brooklyn and he grew up with tickets to the Yankees and the Jets. GM: A Jets fan huh. Let me tell you why I think Pete Rose is the best player of all time. He was a switch hitter, meaning he had home run power from both sides. He was a mean dude on the baseball field. He didn’t care how big you were, how tough you thought you were, he was running over you if you got in his way. He was steaming home. He had speed, he could steal a base and was an amazing fielder. Rose made it out there whether he was hurt or not and he ran out every ball to first base, foul ball, dropped third strike from the catcher, he was running it out. He didn’t just hustle though, he was a very talented baseball player. HS: He was an example for a little leaguer. GM: So, how do you teach a little leaguer to play? Watch how Pete Rose played big league ball. But just like Michael Jordan, there is a lot of players out there who can jump like Michael Jordan and who athletically could be him but they don’t have the mentality, they don’t have the mental game of Michael Jordan every time they step on a court. That’s what differentiates him from the rest, and what differentiates Pete Rose from the rest. So, we’re talking today about rounding your bases, covering your bases. There are four bases, first, second, third and home base. What we are covering is chapter two in my book, ‘Saving the Farm.’ So, what is the first base of elder law? GM: General Durable Power of Attorney, which is different than what people think. It really says what a power of attorney is. Do you know why a power of attorney is so important? HS: When I need things done, I want to rely on a person I trust. GM: I agree, you want to appoint a very trusted person. It could be a family member. If you don’t trust a person should you appoint them as your Attorney In Fact? GM: No, you should not because it gives them the keys to your financial kingdom, so you need to appoint a trusted person. It needs to be ‘General’ because it needs to cover every possible scenario. It needs to be ‘Durable’ which means it needs to have a durability clause. A durability clause means it survives incompetency, incapacity, mental disability or lapse of life? HS: That is a special designation you’re making for that person. GM: That’s right, I like to set it out as a separate clause within the power of attorney entitled the durability clause. I like to entitle the power of attorney, General Durable Power of Attorney, I don’t want there to be any mistake or misunderstandings as to what this document is. If it does not have a durability clause in it when you need it, when you are incapacitated, if you are laid up in the hospital and cannot do what you need to do with your personal business, then it doesn’t work. If you don’t have a durability clause at that time it ceases to have power. There are self-interest clauses in power of attorney where a family member such as a wife or daughter that you appoint as your attorney in fact, if you have a clause in there acting against self-interest, then that person cannot perform duties to transfer property or anything that favors or benefits them at all. It can be a real problem for some planning. It can be a safe guard if you don’t trust someone. You want to know if that is in there or not. HS: I know by just spending times with you at signings and seminars, those documents you produced have every one of those bases covered. Every possible scenario has been researched and it is exactly what it should be. GM: Also, it needs to be recorded at the local register of deeds in the county where you live because if it’s not and you are incapacitated or incompetent, then it is not good at that time. You can go and record it at that time but usually a family is not focused on that in an emergency situation. General Durable Power of Attorney also avoids guardianship situations. Costly, nightmare, contested (potentially in a courtroom battle) with a family member or sub third party, government agency or another attorney appointed guardian over your money and property. One document, a power of attorney, prevents that. It can save a huge headache having that in place ahead of time. So, we are going to hustle to second base. The Healthcare Power of Attorney is similar to the General Durable Power of Attorney in that you are appointing a trusted person to make decisions for you. Why would you want to designate someone to make healthcare decisions for you? HS: I have learned from experience when I’ve gone to the hospital they always ask who they should contact in an emergency because they need to know who that is. Who is it who knows your desires and your medical history? GM: You know, many times you see the sister from Sacramento or the brother from Boise come in, and maybe there is a son or daughter taking care of mom or dad for years making healthcare decisions, and all of a sudden that sister or brother who hasn’t been around for a long time has a totally different view of care. So, what happens? Who is the doctor, the facility or the staff supposed to listen to? Which sibling or son or daughter do they listen to? It makes it tough on them. I’d like to use another sports analogy here, you appoint a quarterback. Someone who talks to the doctors and nurses, to the staff and administration. It could be life or death decisions or long term planning decisions. After that they come back and huddle up with the family and they talk. That one quarterback then goes back to the doctors and nurses, staff and administration so it is one consistent message. That is very important for continuity of care, the correct care. You want your Healthcare Power of Attorney to be HIPAA compliant so you can pull medical records and transfer medical records from facility to facility. Just try doing that without something that is HIPAA compliant. You can’t do it. Also, with both General Durable and Healthcare Powers of Attorney you also want to think who your back-ups are to come in if your primary appointed individual is unable to fulfill that duty. So, we are rounding second and headed to third base. Third base is Living Wills. I think it is still important to keep the human element between a Healthcare Power of Attorney and Living Will, which is the ability for the Healthcare Power of Attorney to step up and say, hey wait a second, I know mom or dad better than you, we are going to wait a couple of days. So, if we’re playing cards and Hayden has the Healthcare Power of Attorney and I have the Living Will, she can trump me. It is not just a robotic cold document. A Living Will is probably one of the most important documents you ever sign for the most important decision you’ll ever make in your life. It is important to have these things in place. Okay, we have rounded third and are heading home. Home plate is the Will. It is the fourth foundational document. So, what does a Will do? HS: A Will designates who will receive the things you own when you pass that you have listed. GM: It does. Now, we have bagged on Wills and trashed Wills and said they’re just insurance, and I think they are like insurance. I think it is better to set your property up to pass outside of the Will automatically. The financial industry figured this out a long time ago. On a life insurance policy, would you want to put your estate as the beneficiary? HS: No, I’ll put my children and grandchildren. GM: Exactly, so why wouldn’t you set up the rest of your property to pass that way? Your land, your home, protect it and pass it outside your Will. Plus, if something passes through a Will, it is subject to probate, to liens coming in. I think a Will is still important to have in place for insurance purposes, so, if there is something that doesn’t pass automatically, something you didn’t think of, setting up something that was not set up properly in the past, then the Will picks it up and gives it to the person you wanted it to go to. Those are my feelings about Wills and the probate process. It’s more of an insurance to get things where you wanted them to go but it’s not a guarantee. It’s not a guarantee because of the looming numbers of seventy percent (70%) of everyone over sixty five years who may need some form of long term care, assisted living, in-home or nursing home care. This eats up a lot of savings. Sometimes people lose everything they own in the last few years of their life because of the costs of that care. So, to protect your assets like your home, what would be a home run? GM: That’s right, a Ladybird Deed. So, what is a Ladybird Deed or Advanced Life Estate deed or Enhanced Life Estate Deed as it’s sometimes called? HS: A Ladybird Deed is a type of life estate deed. It takes the home and designates who it will go to when you pass away but you maintain control of it during your lifetime, and avoids the Medicaid look back period and spend down. GM: So, you have a look back period for some benefits before Medicaid will come in and offer a healthcare benefit for say, nursing home or assisted living care. The look back is five (5) years for nursing home, three (3) years for assisted living care. A Ladybird Deed can be placed on your house right now under North Carolina policy and you can apply for benefits next month and get them, and they could not touch the house. It avoids the look back periods. That would be the home run. If you have any questions you can contact my office at 704–259–7040. It has been a crazy week but a good week, we’ve had on the radio show John Jurchack talking about falls and how to avoid them, Don Peeler talking about Crystal Springs, a no step community, we talked with Teepa Snow and Joe Seidel and all of this has been about being healthy at home and staying active. Our entire theme that we’ve been doing this March has been leading into springtime and getting outside. And so today we are going to talk about getting really active and staying that way. The ‘Senior Games’ brings seniors together to train, strut their stuff, be active and compete just like the regular Olympics. I certainly hope I can stay active enough to participate in the ‘Senior Games’ at some time. I have given everyone a brief introduction but it would be great to get down to the real muscle of the Senior Games so please let everyone know who you are and what you do and then we’re going to talk about some raffle tickets. Good, well I’m Angela Padgett, I’m the senior center director at the council of aging Neal Senior Center in Shelby. I’m also a part of the senior center directors position, I’m the local games coordinator for the Cleveland County Senior Games. I do a hodge podge of things with the senior center. Before we get into ‘Senior Games’ this morning let’s just be clear. ‘Senior Games is not just Cleveland County, we’re talking in nearly every county aren’t they? They are in nearly every county in the state. It’s ‘Senior Olympics.’ Each county that participates they have local games, local games coordinators, and those folks that win first place in their divisions, there is a slew of games, if they win in pickle ball, they go on to the state finals in October and play for first place in the championship division, and they can get first place in the state, and we have had people in our area who do that. It’s a huge event every year. Glory Livingston who is actually my assistant, we go to training every year and we meet these folks you know from other counties, and you’d be surprised, say Cabarras County for instance, they have over 300 participants every year. So it’s a big deal, not only for our county but for the state. Well how many do we have in Cleveland County? Right now we have 54 participants that have signed up. Of course the deadline has ended but every now and then we might have somebody who doesn’t have a partner and for exception we will let them come in and play but right now we have 54 participants. But that is the senior games side, there are two parts to senior games. There are the games, which is the Senior Olympics and then there is the Civil Arts which we just completed. Now Civil Arts side there was 32 participants so for the whole Senior Games, we have had over 80 people participate. It’s kind of confusing there but there are 2 parts to senior games and again we just finished the civil arts side. The civil arts side is your artists, your writers, your dancers, and we just held the Performing Arts Follies at the senior center last week, and our best in show winner which is the ‘Silver Stars,’ it’s a dance group, they are going to go on to the state finals in October, so it’s a huge deal for our county and a lot of people still don’t know about it. We want to promote the games. Absolutely, and if they have got 300 in Cabarras County and we’ve got 54 we need to step it up. Every county should have 300 shouldn’t they? They should but I’ll tell you Cabarras County secret, and the same in Gaston, they actually allow folks from other counties to come in and play. So they do have more folks simply because they allow other counties to come in. Cleveland County we don’t do that. We used to, we actually used to combine with Lincoln County but the powers at be at the time decided it would fair to our players if we would let only Cleveland County residents play. But to be honest with you, you’re right about stepping up, because there are a lot of people in Cleveland County. We’re looking at Boiling Springs and Kings Mountain and Shelby and Casar and we could get 300 people in Cleveland County ourselves if people would come out and participate. But it’s the knowledge in your head of thinking you’re someone over 50, and some people might think, why I can’t do that. Do you have to be a tiptop Olympic shape athlete? No you don’t, for instance, if you shoot pool, we have billiards as part of one of our events. You don’t have to be in shape to play pool, you just have to have a keen eye and know what you’re doing. If you’re out there and you’re a good pool player, you could come and play and could go to state with billiards. Football toss, it’s not hard, you may need to have a good arm but we have a gentleman named Bill Young who is 98 years old, and I talk about him all the time. He was one of our state finalists for pickle ball. 98 years old. Now you just mentioned the magic word, pickle ball. It looks like a lot of fun. I guess this is on a court about the size of a tennis court, played with a big ping pong paddle and plastic riffle type balls. It is and you can actually go to certain sporting goods stores who have pickle ball sets, so if you ever decide you want to put something like that in your backyard, or even on your drive way, you can. But how do you get the pickle to bounce? So I have a quiz for everyone. Here it is. 1 In what city and country was the first ‘Olympic Games’ held? 2 What year was the first ‘Olympic Games’ held? The senior center has a raffle coming up. Tell us about the raffle. It does, a big one. Well we’re very excited in the fact that I don’t believe any non profit in the county has given away this much money. I think it’s a great opportunity, what are the odds? I mean that’s pretty good odds. Exactly and if folks are interested we’re selling raffle tickets for reverse drawing, the tickets are $100 a piece, with 400 tickets sold, we’re giving away $20’000 dollars. There are people still selling tickets, I’m still selling tickets, I’ve got 5 left. We’ve got board members selling and if you know anyone who is interested in buying a ticket we do have 50 right now at the senior center. Why should I buy a ticket, why does this matter? I want to win some money of course but I want to support a good cause. Well the senior center is a good cause and again folks 50 and over are considered seniors in Cleveland County. Our senior center does a lot for seniors. We promote health and we promote participation, socialization, fellowship and we have a huge services department that if folks are hungry we give them food, if they need meals on wheels we help them get set up for meals on wheels. You’d be surprised at the folks in this area that are hungry, and we help them. If we can’t help them we refer them to someone who can, that’s another part of our services department. We have a kitchen that we actually run a restaurant out of, to bring money into the senior center, but we need help, we need help to keep our senior center going. We are not a county maintained business, we are a private non-profit. You have to pay the rent. We have to pay the rent. We have a building that we owe over 300’000 dollars for that we need to get paid off. What else could we do if we paid that off? Good gracious, the sky’s the limit on what we would be able to do. Right now we don’t have funding for home repairs, we used to have funding to send people in to clean folks houses so they could stay in their home and not have to move onto a nurses facility. We talked about Meals on Wheels also. Meals on Wheels, and I’m glad you brought that up. Meals on Wheels is very important for our county but unfortunately we have a waiting list for Meals on Wheels. We have over 50 people on the waiting list, that’s 50 people that are hungry that need food, and unfortunately because of our waiting list they can’t get put on right away. And if we were able to pay that building off, there would be no waiting list. It costs $1800 a year to supply one person with a years worth of food. So one way you could (out there) help do that and help and participate and be eligible to win up to $20’000 is to enter the raffle. It’s $100 per ticket. And you can buy these tickets with other people if you like. So 4 people can put in to buy a $100 dollar ticket and split the winnings. So just to finish up, the ‘Senior Olympic Games,’ if anyone wants to participate, who do they contact, where do they come, if they just want to watch, tell me what they do? We do have a schedule that’s posted online at Nealseniorcenter.org. The games are going to start opening ceremonies on April 11th at 9.00am at Spangler Stadium at Gardner Webb. They are welcome to come to that. We have games all day long at Gardner Webb and then we move on to Shelby City Park. If you do have internet and want to come out to watch, go online for a schedule or call me at 704-482-3488 and I’ll be glad to mail you a schedule. You can also come by the senior center and pick a schedule up but we are going to be playing from April 11th on up to April 15th. The majority of the places we will be playing at is Gardner Webb, the Neal Senior Center and Shelby City Park. You can also go to these places, especially Shelby City Park and get a schedule from Mrs Dee Green. So come on out to play, come on out to watch. It’s important to stay active throughout your life. Exactly, that’s what it’s all about. If you want to buy raffle tickets, I need to sell mine so call my office 704-259-7040 for your raffle ticket to win up to $20’000 to support the Neal Senior Center. And just to give the answers to the quiz earlier, the first ‘Olympic Games’ was held in 776 BC, and the marathon is 26 miles 385 yards. That is the distance between Athens Greece and Marathon, and it was to honor the run of Pheidippides (Phillipedes) during a great war (490BC) he was a messenger and he ran for 26 miles 385 yards. So just a little bit of history you can pick up on the Elder Law blog. I’m Greg McIntyre, get outside and have a great day. I’m thrilled to bring to everyone today, an interview I conducted with Sharon Martin. Sharon is from Hospice. New York, Manhattan was built by pioneers, by mavericks, who were not scared to be bold and think big, and that is something Sharon does. I consider her a celebrity and a maverick. Last year she was honored at the Chicago conference as a national example of how to extend hospice care and really reach a ton of families, especially in the minority community where there has been a stigma about hospice in the past. And I wanted to know how all that came about. What had happened that lead up to the Chicago and the national Tennessee experience was that word started getting around other hospices that the submission rate in Cleveland County escalated from 17% to 52% in the African American community. So all the other hospices when they heard it were all like, what did you do. On a national level, only 8% of the African American community uses hospice services. We’re at 52% which is just an amazing number on the national level. Any business or organization that have those kind of numbers should be in the S&P 500. Those are amazing numbers, and to raise a submission rate from 17 – 52% in any endeavor is not as simple a task as it might sound. A lot of that has to do with the overall hospice plan here in Shelby, and Sharon is a main player in doing that. She is an outreach person for this community. This is a job that requires heart. Successfully going out into a community to discuss something as sensitive as end of life care, is not an easy thing to achieve. I took a lot of hard knocks when you go out in the community and start talking about hospice. Immediately people of all races start thinking, okay we’re dying tomorrow, mamma’s dying, pappa’s dying tomorrow. But that is not the case. We even now have a patient in our Wendover facility, that has been with us three years, and so it can go into long term care. It can go into short term care but what I like to tell people, to get the most out of hospice services, as soon as your physician says to you or to the family, I only think ‘Sharon’ has 6 more months to live, that’s when the family should really be seeking out hospice services, so the family and the loved one can get the full benefit of hospice services. Sharon has been with hospice for over 6 years, but did not at first want to get back into the work force. I wanted to know how she got involved with hospice in the first place? “Six years ago our CEO Myra McGinnis and vice president Patty McMurray determined that the African American community in Cleveland County were not using hospice services as they would like. And so what I learned after being hired was that this discussion went on for about 10 years, just trying to think of ways to engage the African American community with hospice services. I was retiring. I had been laid off from a mental health agency, and so I thought I’m going to retire because my background is in social services, and mental health and also in ministry so. Later on I learned I was the one they were looking for but I was not the one who wanted to work, so they actually had a hard time getting me to come in for an interview. A friend of mine called me and said Sharon there’s a job at hospice that has your name on it, that job is perfect for you. It was Bishop Michael Moore and he said that job is yours, and I thanked him and said but I’m not going to work and I hung the phone up, not quite that rudely but I’m not even going to talk about this. Anyway, he calls back a couple of days later, and said Sharon seriously that job is definitely for you, and I said I’m not interested in the work, I’m not going to work. I just want to be a grandmother to my two grand children and I’m just going to go to their school and enjoy life helping them out in school. After the third call, I decided out of respect to him to call Patty McMurray and Hospice about the position. I was hired in 20 minutes after talking to Patty. So that’s how I became a part of the hospice family. And it is a family. Hospice is a very tight knit community of people who wear their hearts on their sleeves. This is more than just a job to Sharon, and I asked her if she would explain why that is. How I found out about hospice on a personal level was 30 years ago in Akron Ohio, where my parents were and where I was raised. My mother called me one day and told me my father had terminal colon cancer, and she said Sharon, I’m going to allow an agency to come in and call hospice. Well at that time I was in Greensborough NC and this is what I said to mother, what is good for you is good for me. And so as I would travel back and forth to Akron to visit my parents, I learned first hand how the hospice staff would come in and take care of my dad, and give him a bath, and do whatever was necessary to take the relief from my mother. So that was what was so comforting to me, because my parents had been married for 52 years and my mother was not going to leave my dad. And so my dad was at home, and hospices services came in, and after my father died this is what I said to my mother one day, if I ever have any money to contribute to any organization, it would be hospice Akron Ohio. Little did I know I would be working for hospice Shelby NC. So that’s a great comfort to my soul. I think hospice does an amazing job. I’ll tell you what is amazing about Shelby and Cleveland County is it is unreal the great services we have in every different type of industry related to senior care. I mean nationwide beacons, from Life Enrichment and Suzi Kennedy to Hospice and Sharon Martin. I just can’t applaud Sharon enough for being held up as a nationwide model on how to reach and convert a population, any population and take it from 17% to over 50%. That is just impressive and she deserves all the praise she gets from that. One of the questions that I know there is some confusion about, is people in general seem to think of hospice as a physical place, which it does have but it is much more than that, and so I asked Sharon if she could clarify some of that confusion. Many people, not only African Americans, they just have this great fear of hospice services. For some reason they don’t understand end of life care. So that became a challenge to be able to just talk to the community in general about what end of life care was. A lot of people look at hospice as a place. Hospice is not a place, and that is what I really want the audience to understand. Hospice is a concept of care. Just like a hospital is a concept of care, hospice is a concept of care. And that is that we try to make a persons life more comfortable as they go towards death. But what is so unique about hospice care is that we help the entire family, not just the patient. If we go into a persons home, and we’ve seen there is a great need, maybe a power bill needs to be paid, maybe a family doesn’t have food in the home, whatever that family needs, then that is what we will try to provide for the family. So it’s like holistic care, we take care of everybody that is involved. So don’t think that hospice is just the hospice house in Kings Mountain, and the hospice house in Shelby. It is so much bigger than that, it reaches the entire county, which brings up another question that causes some puzzlement. How many people does hospice actually help? People think that we only serve 24 patients a day, but we have two facilities which is the place that people are at, and that’s Wendover in Shelby and the Testa family house in Kings Mountain. Well the total patient load with those two facilities are only 24 patients so they might question when I propose to people when I’m doing talks and presentations how many people do you think we serve per day? And people just look at me with a puzzle in their face and then I’ll say just go throw out a number, and they’ll start 40 and then 60, and I’ll say higher, 80, higher, 100, higher, so we play this little high/low game, and finally when someone says 150, that’s when I stop, because that is exactly how many patients we serve every day, 150. Last year, in 2015, we went all the way up to a 190 patients. Well that’s because we serve people in their home. That is a daily number, that is unreal. Think about that, hospice ministers and administers care to so many more than 24 people on a daily basis. And just like Little House on the Prairie, where the doctor made house calls, the hospice family are really in peoples homes. The doctor comes out to the home, the nurses, the hospice workers come out to the home, and do not just care for the individual who is suffering. I’ve talked to some hospice workers and administration before, and it’s really so much more than that. They are really ministering and helping the spouse and the family as well. Hospice is a hospital on wheels. We go into a person s home, we set up a bedroom, a living room, just like a hospital facility would, we have a hospital bed, the nurses, the nca2’s?? we have a chaplain, a grief counselor, a social worker that makes up the team. So 6 people are working with this family in their home to take care of their loved one. So that’s what we do, we go into the home and make everybody feel comfortable and wonderful. We take the burden off of the family so they can spend all their time with mamma, daddy, or sister, and just be there for the loved one, to love on them as the process of dying increases. That’s the main thing I want to say. So we were talking about an individual who needs hospice care, a whole family who needs hospice care. If hospice is serving a 150 people daily, and all the many workers they must have, I know that they do fund raisers, but I know that can’t possibly come close to paying the bills. So how can people afford it, how can hospice pay for it? Well we are actually non-profit so we do rely on the generosity of the community but what I really want everyone to know, if the person has Medicare, 100% of their hospice services are paid for by hospice care. So we will never ask that person to pay out of pocket, as long as they have that red, white and blue card, all of their hospice expenses are paid for. On the other side, even if a family doesn’t have the money to pay for whatever is needed, the donations, the generosity of people in Cleveland County, like the Testa family, they are going to make sure, and other families that have made yearly contributions and donations, we make sure a family gets the same care as if they had a million dollars as compared to they only have one dollar. So everybody gets the same care no matter what. Well that is right along with our entire philosophy at McIntyre Elder Law, and just fits right in with helping seniors protect their assets and legacies. Keeping them in control of their assets and providing them the best health care options possible. And I mean I know first hand from having many many clients and families who have dealings with hospice. The Hospice family has always been so kind to everyone at McIntyre Elder law. They let us use their facility up there to do events for seniors once in a while. Hospice is just a blessing to the community. The last thing to I’d like to mention is about ‘Hearts for Hospice.’ I asked Sharon to tell us about that. It is a fund raiser that we started 5 years ago. It’s been a very profitable fundraiser where we are only asking people for a one dollar donation. We have a heart that Pam Isaac our marketer created and it’s called hearts for hospice, it’s two lives, in memory of and honor of, and from, and you can buy a heart for a dollar and we will post it up on our wall, or you can keep it yourself. All the money that you contribute for hearts for hospice goes for patient care. So this is a unique thing about hearts for hospice, we started asking people for a dollar, and the first year it was predicted we wouldn’t raise $500 but we raised $4000. In the last 5 years we’ve raised almost $27’000 with hearts for hospice because people would give a dollar, some people would give $100. So it kind of evens out. Some of the children want to buy a heart, they only have a quarter, so I said that’s alright. Please call me. I will mail them to you, bring them to you, there is 25 in a pack. Sharon’s number is 704 751 3591 and that is her direct office number. So call Sharon, she would love to talk to you. 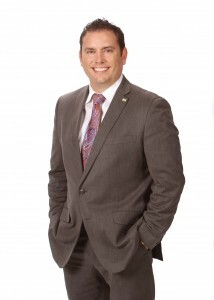 I’m Greg McIntyre of McIntyre Elder Law. I hope you have enjoyed this weeks Elder Law Report, and hope the information provided by Sharon Martin will help dispel some of the common misconceptions associated with Hospice. Until next time, Make it a great day. For this very special episode, I was honored to be able to interview expert on Alzheimer’s and Dementia, Teepa Snow. During our discussion, Teepa and I spoke about everything from care to causes and what needs to change in the systems to allow for more humane treatment of loved ones with Alzheimer’s and Dementia. 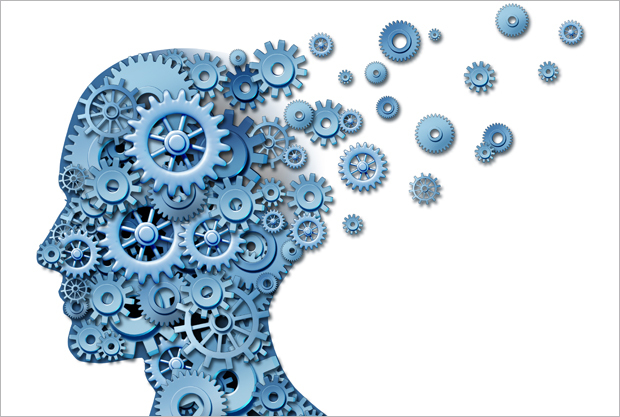 How did you come to be the expert’s expert in Alzheimer’s and Dementia? It’s interesting, I would have never thought that. But I started off doing a lot of work with the USD School of Medicine and I was part of a team when I graduated and got my Occupational Therapy degree. I have worked in long-term care, so when they were looking for somebody it seemed like a good match and I had the good fortune to work with a good nurse, a good social worker, and then a couple of really good strong, family practicing general internal medicine physicians who understood geriatrics really well. That allowed me to learn the art of working with lots of disciplines, but to work with people that have Dementia. Then I did some work with head injury, and I did that for three years. I also went back and worked again with Dementia in a psychiatric setting. Then I did home care and community care, and I worked at the VA. During all this time I kept building expertise in geriatrics and I find more and more I understood Dementia and could work with those with Dementia and show improvement while working with their caregivers a lot better than most of my colleagues. I found it interesting and exciting, not scary and awful. During that time I’d also be doing in-services and training, so as time went by people would start going with me to do things. Then I worked for the Alzheimer’s Association as the Education Director in the eastern North Carolina area. We made a couple of training videos because we were doing workshops, which lead people to want more and more workshops. So we thought, “Okay, let’s develop a video now.” The video became the video used nationally by many groups that addressed the issues one would face when trying to care for someone with Dementia. From there it snowballed. What would you say has been your experience with patients with Alzheimer’s and Dementia? And what is the difference between the two? That is the most common question I am asked. Think about Dementia as a great big umbrella, and under that umbrella, one of the boxes is Alzheimer’s disease. But there’s other boxes: there’s frontal temporal lobe Dementia, there’s alcohol-related Dementia. So we’ve got a lot under that umbrella, but if it is under the umbrella it means four things: 1.) that at least two parts of the brain are starting to die, and what’s causing it will vary. 2.) as of right now, if it truly is Dementia, there is nothing we can do to slow it, stop it, or turn it around. We don’t have anything to rid of it; none of the drugs change the disease. 3.) if it’s truly Dementia, it’s going to get worse, it’s going to progress. All sorts of Dementia are neuro-degenerative, meaning they kill off the nerve cells in the brain. 4.) they’re all terminal illnesses, and once you have it, if nothing else kills you first then it will kill you. It will destroy so much of your brain that your brain can’t run your body anymore. So if you make it to the end, you’ll die of pneumonia because you can’t coordinate your swallowing and your breathing and your ability to fight infection, so you’ll get an infection in the blood stream that you can’t fight. If you get dehydrated and your brain says, “You don’t need any fluid”, your brain then says that you’re done. We didn’t used to keep track of that as Dementia, but it’s actually the Dementia that’s causing your body to shut down. And now it’s the 5th leading cause of death for people over 65 and the 11th leading cause of death for all ages. And the only one we don’t have a cure or treatment for. That’s right, nothing that does anything for the disease. The only thing we have is some people benefit from some of the medications some of the time for a short period of time. That’s it, that’s all we have. Care therefore becomes the critical feature, and yet if we look at our care patterns and what the government support is, it’s nothing. We do nothing for people living with Dementia, we manage their acute medical illnesses poorly because primarily we don’t know what to do with Dementia but I can fix the UTI. So what I’ll do is tie you down and give you antibiotics. Well, what’s going to happen the next time? We’ll do it again and again, but where are we going with that? So we unfortunately put people through a lot of distress because no one really understands what the disease looks like. Doctors think, “I can treat that” but yet they can’t treat the Dementia. Does a living will help in these situations in any way? Well, let’s say I have an advanced directive that with any other health condition would be honored. The only state in the nation right now if I developed Dementia would be Oregon. In every other state, Dementia precludes me from having my directive followed. You unveil an important point, which is the living wills apply to when someone is terminally incurable, brain death has occurred and they’re being maintained by respirators. That doesn’t count for this situation where the mind is not coordinating with the body. This idea of competence is really complicated when it comes to Dementia because although I may not be competent to handle financial affairs, I might be competent to decide whether or not I want turkey or chicken for dinner. But that’s not how we’ve divided the pie here; it’s all black and white. So the legislature needs to work with people like you that are on the front lines in developing laws and directives to account for situations like Dementia and Alzheimer’s. Yes, because they don’t exist. With feeding tubes, they came to the realization that actually we weren’t improving anybody’s life and the value of doing that was actually nil. It actually didn’t change the quality or quantity of life, it made people more likely to have bad things happen. You deal in the healthcare industry on a regular basis. How much abuse of those directives is present? It’s possible, but let’s figure out what’s going on, and I would think the abuse that goes on to the people who have Dementia is much worse right now because they are put through things that I don’t know how anyone can do to another human being. And they call it “care”. I’ve said before, we treat animals in end of life situations better than people. Right, where is that going to take somebody? And to get people to take that step back and go, “Guys, this is not euthanasia like you’re talking about. I’m not taking somebody’s life away from them, I’m helping them do the things that they really value.” And yet we are more than willing to restrain people, tie them up, give them additional medications to make them protest so that I can deliver the “treatment” I believe they should have so they can live three more days. With zero quality of life and lots of pain. That’s ridiculous. How many times are we going to put somebody through this before we say, “You know, they said no.” Okay, let’s people together and work through this before we get to this place so that we’re really acting in the person’s best interest. Not working from anyone’s opinion, but what the patient clearly asked for before this started. This is going to be a movement from the ground up. I think Wisconsin and Minnesota are dealing with the issues, and they’re dealing with the issues because they, like North Carolina, have a large rural aging population. The resources are changing, the care situations are problematic. And people would rather die on their farm than move into a facility and lose their sense of identity and purpose. So how are we going to deal with this? Something needs to change about how care is delivered; people would never choose that. You walk into these places and you go, “Yes, better than it used to be”, but would I live here? Absolutely not. People pay phenomenal sums of money for an intensive care stay at the end of life for no decent outcome whatsoever, no quality of life during the process. And yet we will not pay a penny for the person to be cared for in a different situation. With 2/3 of the population being over 65 since 2010, Dementia and Alzheimer’s on the rise, you have to be able to identify it and then know how to react to it to give proper medical care. And yet there is no requirement at all for hospitals to have any kind of training in Dementia, for EMS services to have any kind of specific training in Dementia or police and fire departments, yet they’re the front lines, they’re the people out there in the community. The civil rights issue for people living with Dementia is finding that balance between what support and care I do need, and people making decisions about me without me, and me being able to be incarcerated for the rest of my life without a trial. If you put me in a secure unit, I may never get out again. Who’s to say that I’m there by virtue of what’s best for me versus what’s best for my oldest son who decided that I was causing a lot of trouble and it would be easier for him to manage my estate without me being present. Right now across North Carolina, it is permissible to lock people up and it doesn’t matter what they want or what they think. It’s rampant, and it’s a knee-jerk reaction. At a national level, the conversation is happening regularly. Yet nobody wants to address this because you’d actually have to address this. That leaves a good question on the civil rights issue: who’s going to fight that issue, and how do you fight that issue when you really don’t have a client that’s competent to be had? What I think we’re going to see is more and more younger onset patients say, “No, you’re not going to put me here.” And what happens is they typically get kicked out to the psyche unit and back because they get in trouble. So people are not sure what to do with the young onset people, and I think some will end up being lawyers and judges and someone is going to say, “I’ll take you to court.” I think we’re getting to that point where there are enough higher profile people who are getting this condition who are smart people, and they’re going, “Wait a minute, you can’t just do this to me.” And up until now there’s been just a few of them, but I think the numbers are starting to rise a little bit. Has this always existed throughout time with humanity? Or is this something new? It seems like this wasn’t the case when I was little; it was senility. But were we just calling it something else? Some of it has been around but not the amount and not the intensity. Our lifestyle is dramatically changing and our environment is changing, not only the environment of the brain but our environment and how we live our lives is very different than it was a generation and a half ago. I think when you start doing that over time, what we’re finding is high stress, sleep deprivation, and high sugar intake with limited opportunities to socialize and engage leads to certain types of Dementia in that umbrella. Certain types have become much more prevalent than what we used to see. We never saw it like we’re seeing it now. We’re also seeing more young onset situations. So I think we have lots of different things happening, but now we’re seeing an increased number of survivors who live long enough to whom the things that wouldn’t have happened because they were gone, are now happening. If you look at many of the young onset folks, you’re going to see the high intensity people, and they worked really hard to the point where they never gave themselves a break. We know that with people who are high-risk worriers – worrying is a bad habit because you can’t let it go – the risk goes up. Evan Thompson is the District Commander for the American Legion of Cleveland and Rutherford Counties. Evan took the time out of his schedule to discuss with me the needs of our veterans in the community. We also touched on how you can get involved in the American Legion and how groups such as those are serving veterans in their respective communities. Evan has a rich background stemming from his time spent in the Marine Corps, and when he came out of the Marine Corps, he joined the North Carolina Air National Guard, which he would later claim was not a smart move for him. After realizing this, Evan went to the Marine Reserves where he spent one year before moving on to the Army Reserves in 1976. What were your duties as part of the Army Reserves? I was an infantry training instructor, so I taught things like mechanized infantry, 50-caliber machine guns, and things like that. I stayed in the Army Reserve until 1992, and during that time I went back on active duty with the Army and I spent one extended tour at Fort Jackson training soldiers for an entire training cycle. I also did a tour of duty at Anniston, Alabama, at the Chemical and Biological Warfare Center. I therefore had a very long career, 23 years. I retired in 1992 as a Brigade Sergeant Major with the rank of Command Sergeant Major. I enjoyed it all, and I loved my military service. I think military service gives people skills that they wouldn’t otherwise have. Now you’re in the American Legion, working as the District Commander. Let’s talk about some of the great things the American Legion does. The American Legion is such a great organization, and I have only one regret about it: that I didn’t join earlier than I actually did. I’ve only been a member 5 years and had I known what the American Legion does, how beneficial it is to veterans, I would have joined a long time ago. So I think one of the best things a veteran can do today is join the American Legion. There are obviously a number of veteran service organization, such as the Marine Corps League, the VFW, DAV, all those are great organizations; but the American Legion is the largest veteran service organization boasting a membership of over 2.4 million not only in the United States but in foreign countries, as well. The American Legion is also based on four pillars, which really determine what the Legion does. They are: Americanism, national security, children and youth, and veterans and veterans’ benefits. To give you an idea of what’s in those pillars, for instance, one of the main programs from the Americanism pillar is our baseball program, and we’re fortunate in Shelby, NC, to be the home of the American Legion World Series. That is a tremendous honor and it’s something that not too many services can boast. The Series brings so much to the economy of Cleveland Country during that time of year, and the support from the community and volunteers is incredible. What are some other benefits offered by the American Legion? Of course, things we like to really focus on in the American Legion is helping our veterans and helping our youth. These can be children or grandchildren of veterans, but it’s not limited to that. That’s one thing about the American Legion: you don’t have to be a member to get the benefits that the Legion has to provide. One thing I want to point out to everyone regards the GI Bill; the American Legion is responsible for bringing that piece of legislation about. That’s been a very important piece of legislation in many veterans’ lives. I know for me, when I got out of the service, I already had my Bachelor’s, but I got my Master’s degree, then worked on my 6-year Specialist degree, then I had some time left and went back to get an Associate’s, followed by some work on my Doctorate. The GI Bill paid for most of that, which is a tremendous benefit. The Legion is also responsible for the development of the legislation that brought about the VA Healthcare system, and so lots of veterans enjoy benefits from that. So if you are a veteran and not tried to enter the VA Healthcare system, you need to make an application to that. Many veterans who are just coming out of their service don’t know about this system and what is available to them. It could be because they don’t have major healthcare issues at the time. But one thing about eligibility is you have to have served over 180 days of active duty to be eligible, and then the healthcare system has categories. There are 8 categories, and based on your physical condition, whether or not you served in combat, whether you have a service-connected disability, and others all determine the category that you’re placed into. From there, if you’re in category 8 like I am – I don’t have any disabilities connected to my service – you’d thus have to pay co-pays as a result, which are very small. Pretty soon, I’m going to be able to get hearing aids, which I need badly and the VA is going to pay for all of that. That’s a tremendous savings for me, all because I was a veteran. How does one get into the American Legion? To be qualified for the American Legion, you have to have at least one day of service during a war time period. Now, there are very few periods that were not war time periods since 1917. One period in there is between 1955 and 1960, we were not engaged in conflicts anywhere. So those are the veterans that kind of fall through the cracks when it comes to being a member of the American Legion, but this is just the way that Congress chartered the American Legion. There’s nothing we can do about it; we’d love to have you as a member, but according to the charter, you’re not qualified. So if you would like to become a member of the American Legion and you qualify as such, there are several things you can do. Many times, you’ll get information as a veteran from the American Legion and you can sign up, but when you do that, you’re not assigned to your local post. You’re assigned to a pool of American Legion members down in Raleigh. What I can do for you is if you happen to be in that situation – and there are quite a few people that are in that situation – if you’d like to transfer to Post 82, then I can do that for you. You just need to give me a call at (704) 484-2902. If you want to become a member, you can call that same number. The reason we use that number is we don’t have anyone down at the post during the day; we meet once a month on the second Monday of each month, so there’s no one there at the post most of the time. We therefore give out my phone number for people to call, and I’d certainly love to have you as a member of the American Legion. This is what we’re here for: we’re here to serve vets, and if you become a member, then you’ll be serving other vets. What are some of the other programs available? One of the incredible programs we have under the youth pillar is called Boys’ State, which is a great program we have down at Catawba College to train young men who want to learn more about the government of the state and the country. It’s a good item to have on your application for college, too, especially if the young men are applying to a military academy. You’re given ten additional points for entry if you’re completed Boys’ State. Another thing we carry on is the Oratorical Contest every year. Students from all the local high schools can get involved in this contest, and if they win and go all the way up to the national competition, they can win up to an $18,000 scholarship. The Contest is coming up and will be held locally at Ascension Lutheran Church on January 9. So if you are a local high school student and are interested in being a part of the Oratorical Contest, then you need to talk with your school counselor, because we’ve already put out information to all the local high schools about the contest. You need to then get your speech planned, so time is limited on this program. I can only encourage people to become a part of the American Legion because it’s an organization that I’m totally dedicated to, and I’m willing at any point in time to help any veteran in any way that I can. As District Commander, I have 8 posts under my jurisdiction, and those are posts all the way from Chimney Rock down to King’s Mountain. I’m not the commander of those posts, but I help the post in every way that I can. I’ve become the liaison between the State Department American Legion and the local posts. Our meetings are once a month, the second Monday night of each month. So if you can’t contact me, feel free to come to our post. It’s at 1628 South Lafayette Street in Shelby. We’d love to have you as a guest! We always have a meal before our meetings, too. Our Christmas party is coming up, so it’s going to be a little different for this year’s party. We’re growing, and we’re about to outgrow it, which is why we’re having this year’s party over at the VFW. If you’d like more information about these benefits, please contact our office at (704) 259-7040, and we can get the Veterans’ Aid and Attendance information out to you, as well as American Legion information to you. As a reminder to my readers and listeners, Veterans’ Aid and Attendance benefits are provided to veterans who have served at least one day of war time service. This doesn’t mean they have to be in a combat zone – they could be stationed in Nebraska at an Air Force Base. But they have one day during a war time event, and they meet the proper criteria: they have a healthcare situation where they may have someone caring for them at home, such as a husband or wife. It could also be a nursing home or assisted living situation, and it can add a max benefit of around $2,800 to the income of the veterans that are married. It’s a great way to help care for the veterans, even adding income to the mix when a spouse is caring for the veteran. It’s also available for the spouse of a veteran or the spouse of a deceased veteran, as well. That said, McIntyre Elder Law handles Veterans’ Aid and Attendance applications, and we do so free of charge for the veteran. We charge for the planning associated around that, such as the elements that go into the estate planning, but we do handle these matters right in our office. I am a certified attorney with the US Department of Veterans’ Affairs, the only one in Cleveland and Lincoln county. I’m very proud to be a certified attorney through the US Department of Veterans’ Affairs for those purposes. 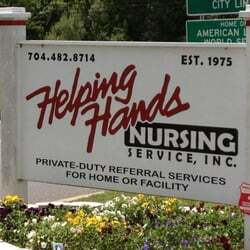 As part of my continued quest to bring the most varied information out there about Elder Law and elder care, I had the opportunity to speak with Ruth Huffstetler from Helping Hands Nursing Services, Inc. To give a little background on this company: it was founded in 1975 and is current located at 1105 Earl Road in Shelby. Ruth provided some invaluable facts, figures, and information about what Helping Hands does, as well as what the differences are between home care and home health care. What are some of the services that Helping Hands offers? There’s no doubt that people want to stay at home. It can be a very traumatic experience for our elders – especially if they are suffering from dementia or Alzheimer’s – if they are taken from the surroundings that make them comfortable. Continuity is so important, so by keeping them at home, we’re able to stay with them and monitor them. We can go in and make sure that they’re not turning on the stove, putting tin foil in the microwave, wandering out in the streets or the middle of the night. We can also dispense medication. The thing about us is we’re doing whatever the family has asked of us. If the family wants us to walk the patient around the house three times at noon for exercise, then that’s what we do. Again, if we come to you and your parents are diabetics, and you need them to have certain meds or certain injections as far as their insulin and whatnot, then we help them with those medications or injections. Whatever the family asks of us, we do. With home health, the doctor is ordering certain physical therapy, occupational therapy, speech therapy. With us, the family is calling and saying, “I’ve got to go to work, somebody needs to be with Mom and this is what we want done while you’re there” or “My mom lives in Shelby but I live in California now. I need 24 hour care and this is what I want done.” Sometimes we’re truly the only family around because everybody is long distance, and we’ll take them up to see the leaves change colors. We’ll take them to go visit the old people at the nursing home so they can stay in touch with their friends. We’ve learned how Chick-fil-A has bingo on certain days and different places we can take them. They can stay involved with their friends. The biggest difference in simple terms is that in home health, you have an RN that is supervising everything that’s happening, there has been an assessment done and a list of needs that the doctor has ordered. That is home health. They’ve ordered all the different therapies and there’s an RN supervising and making sure those things happen. With home care, you as a family member says, “This is what we need, whether it’s someone to be here so we can go see our grandson play football for 4 hours” or “We need 24-hour care”. Whatever you want is what you’re going to ask us for. That’s home care. Do home health care agencies sometimes refer to you? Yes they do. Let’s say the doctor orders a bath three times a week. They’ll have a CNA that’s going in on Monday, Wednesday, and Friday giving a bath. There’s no set time. It could be at 9 in the morning, it could be 4 in the afternoon. So if the family says, “We need somebody here during the day so we can go to work”, those home health agencies will refer to us and say, “Okay, if you call Helping Hands Nursing Service, they can refer someone to you that can be here from 7 in the morning until 5 in the afternoon. They’ll be here the whole time to prepare the meals”, and then when Home Health comes in to do the therapy or the bath, we let them in, we can assist them, but it’s their doing, and then they leave. But we stay. Do you screen your employees? First thing is, I have no employees. They are all independent care givers because we are a referral service. Past that, they are all criminal background checked and reference checked. So if you call and say, “I need a caregiver to come out and bathe my mother Monday, Wednesday, and Friday”, then we’re going to find where you live and what kind of limitations your mom has and we’re going to pick who we feel is a good choice based on what you’ve told us. We’ll then refer that person to you. Very important question about the personality: just because I think they’re a great choice and I love them dearly, your mother may hate redheads and “I don’t want that redhead in my house because she reminds me of my ex son-in-law’s wife” or whatever. It doesn’t matter. Whatever that case may be, you make a simple phone call and we will send someone else out. You don’t have to give us a reason at all because there’s personality conflicts with the greatest of people; they just don’t see eye to eye. Do the people you refer provide the transportation or do they take the family’s car? Are they paid by the mile if they use the car? All of the above. If we take their car, of course there’s no fee and we can drive them. If the caregiver uses her own car there is a charge which is just the government rate, I think 0.55 and a half cents now. They do add mileage to their hourly rate. Do you have written policies for these people or contracts? What we have is a contract with the caregiver since they are referred and they are actually paying us to keep them working. If they have to call in sick at 3:00 in the morning, they’re not calling the family, they’re calling me. I make sure someone else is there so you can still go to work. We do have guidelines that we require of them, things that just make me happy as far as what they wear and tattoos not showing, things like that. They are my guidelines. But as far as written rules, it’s whatever the family wants. Again, the family may say, “You can take Mom to the beauty shop” and that’s all or “Mom’s been dying to go see her friend at the VA in Salisbury, would you mind spending a day and taking her there?” And we’ll do it. A lot of times the family’s car is easier to get in and out of than the caregiver who might drive a big SUV or a little sports car that’s hard to get in and out of. So we’ll do whatever is best. How can people pay for home care? Home care is paid out of pocket or if their long-term policy will allow assignment back to the family, so the family is getting reimbursed for what they have paid. We can assist with that, but it is an out-of-pocket. We do not take Medicare, Medicaid, or private health insurance. Insurance might pay for some home health benefits, but they will not pay for the home care. If you’d like to get in touch with Helping Hands, call them at the office at (704) 419-8222. I had the honor of sitting down and talking with Patti McMurry, who has been with Hospice Cleveland County for 25 years. We’re going to talk about what it is, any misconceptions, what Hospice does, and the other amazing services to the community. Tell us a little bit about Hospice Cleveland County. One thing about our community that we’ve found is that everywhere we go, no matter if they are conferences, seminars, or anywhere, Cleveland County is very unique because our agencies tend not to compete with each other, but to help each other out. It’s a great place to live and raise a family, and then grow old. We took in our first patient 30 years ago, so we’re celebrating that. The Shelby Star will have a 12-page insert all about Hospice Cleveland County: how we were formed and where we are today. As of today, we have taken care of over 10,000 people who have died in Cleveland County. We were one of the first Hospices in North Carolina. How did you get involved with Hospice? The way I came to Hospice was that my two grandmothers died in the same year. One grandmother died at the hospital with lots of tubes, every two hours two family members could go in to see her. When it looked like she wasn’t going to live much longer, the nurse came out and said, “Two family members can go and be with her while she dies.” My mother had 7 children in the family, she happened to be the second oldest so she got to be with her mom and everyone else was in the waiting room. Shortly after that, my other grandmother got sick with colon cancer. That happened to be the year that Hospice Cleveland County started and she was one of their first patients. Everybody was at the house; she died in her own bed, all of us were there, all the grandchildren were there and it was two totally different kinds of experiences. That’s how Hospice Cleveland County got started because there were people in our area who had heard about Hospices. “Hospice” the word actually comes from the Middle Ages. A hospice was originally a resting place for weary travelers. They didn’t have hotels, so if people would allow weary travelers to rest in their home, then they would put a lighted candle in their window and that signaled that travelers could stay. When we built our hospice house and our office where we are now, they were going to let us change the name of the road and we thought really hard about what we wanted to name that road. The name is Windover Heights Drive, and wind needs to go from this place to the next, which is what Hospice does: it helps travelers go from this life to the next life with quality. It’s a pretty new concept; the first Hospice in America was in 1974, so it’s very new. Now just about every county in every state in the country has a Hospice. And every country, really, has Hospices. It was similar to the birth experience. Women used to be put to sleep when they had babies: they’d wake up and they’d have a baby. Then, natural childbirth started and things got back to nature, so the concept of death also got that way. 95% of the people who are asked, “How would you like to die?” response “At home”. Much less than half of the people die at home, and everybody wants to yet there are so many things that prohibit that. There’s so much fear in that and in modern medicine. We’ve had people call to set up an admission time, but they’re afraid. They’re thinking, “If Hospice comes in, Mom’s going to die.” But think about this: Mom is going to die, we all are. But we want to get in there and make that experience as good as possible. The scary part about Hospice is really only the first 30 minutes of that first visit, and I promise – I tell people this – if we come in for 5 minutes to explain to you what we can do, we will leave in 5 minutes if you want us to. But it’s never happened that we’ve had to leave. People are complimentary and relieved, actually. On the first visit, we give them our 24-hour telephone number that they can call for a nurse to come and visit. Even just having that number, whether they call or not, is so much security to them. You don’t have to take somebody to the hospital, you don’t have to wonder about anything. We are so involved in patient symptom control, as well. I explained once to a doctor: when people come to the doctor and they’re in pain, they get a prescription for pain medication. But when that person leaves with that prescription, it doesn’t mean they have the money to buy that prescription, it doesn’t mean that they’re aware the pain medication is going to cause constipation. There are other things that go along with this illness in just that one pain prescription that our nurses can really address and have people as comfortable as possible, teach families how to take care of their loved ones. They have that number to call 24/7, grief counselors, chaplains, social workers, and more. Our Director of Nursing has said many times, “The easy part of Hospice work is what the nurse goes out and does: get the symptoms, the pain, and those things managed. But then the hard part of the dying process starts.” It’s those fears and thoughts and dark nights as well as emotional, spiritual, and mental things that people are dealing with. A large part of the process is not only the death of the patient, but the grief the family members have to endure. How do you include everyone? A lot of our focus is the family, Hospice is special in that the patient and the family are the unit of care. So the focus is just as much on the individuals of the family as it is on the patient. Oftentimes we’ll go in and the patients are doing fine; they know what’s coming, they’ve accepted it, maybe they’ve struggled and had a lot of treatments, maybe they’ve suffered a lot and they’re really fine. But for the family members, it’s hard to let somebody go. We’ve had children, we’ve had young people, and we have very elderly people. So our counselors, chaplains, and social workers really help those families come to terms with those things. Sometimes when we come in, patients are relieved that they can finally say, “I don’t want to go to dialysis anymore, I don’t want to have another treatment, and I don’t want to go back to the hospital.” They can say that because they have that support, they know that those team members are going to be there to help the family. Can anyone get involved with your services? You don’t have to be a Hospice patient to attend our support programs. You can receive help from the grief programs and counseling, or any of the social work, the drafting of living wills, healthcare power of attorneys and things like that. But Medicare requires us to talk to our patients and families about living wills and healthcare power of attorneys. I will tell you that things go a lot smoother when those things have been done early, rather than when somebody is in a crisis or they’re sick, during which time you have to make quick decisions. What we try to do is talk to the public all the time about doing healthcare power of attorneys and living wills. Really, the healthcare power of attorney is the most important document. It doesn’t go into effect until a patient can’t make their own decisions. We leave those documents in the home on the first visit and explain that our social workers are notaries who can come out and help. Oftentimes, it’s easy to get a patient to do a healthcare power of attorney and living will when the whole family does them, so we’ll just have the whole family complete their documents at that time. Working at Hospice, we know that those documents are important. We’ve seen bank accounts being closed because until a will is probated and those kinds of things, you have to have those things in place. And where’s the life insurance policy? Where’s the burial policy? People don’t start looking for those until they need them. We want to get people to think about things on the front side, meaning before the crisis happens when you have to think about them. People also don’t realize things that happen after the death: you have to change where the money is going to, everything on the bank accounts and who the beneficiaries are. There’s a lot of work to be done, and if you do that on the front side, it’s not scary. How is Hospice funded? How does one pay for Hospice care? This is something I think the public does not realize: when you are a Hospice patient, Medicare has a benefit called a Hospice benefit for in home care. That benefit pays for everything that Hospice does. It pays for the staff, it pays for the equipment that has to be rented, it pays for oxygen, it pays for any supplies. It’s the benefit that kicks in before the supplement, which also covers 100% of all the medications that the patient is taking. So sometimes we can get in there and save patients and families thousands of dollars a month, because anything pertaining to that illness – heart disease, which is our primary diagnosis, or anything else you may have that you need medication for – is paid for 100%, even if it’s over the counter. A lot of people don’t know that. The only criteria to be a Hospice patient is the doctor feels like if the illness follows its normal course, that the patient will live 6 months or less. Now, we’ve had patients for a lot longer than that, but our median length of stay is 11 days. That means 50% of our patients die within 11 days after we admit them. So they’re not able to access that Medicare benefit and get all those things paid for. That is the one thing about Hospice care that keeps me awake at night, is knowing that there’s so many people who could benefit from having that support of the staff that they can call, but also financially. Being sick is very expensive. While at the facility, some of our beds are residential that have a daily room and board fee. It’s about $140 a day. But everything else is paid for. If you’re in the GIP, which is like an in-patient or crisis – similar to a hospital – it’s paid 100%. So that Medicare benefit is so incredibly important. We work with a Hospice pharmacy, so all the medications are ordered by the nurse and they’re delivered right to the patient’s door. We’ve got a lot of elderly people in Cleveland County who are our patients; they can’t get in the car to get a prescription or go to the drug store and wait on their medications. So we try to make everything as comfortable and in the highest quality possible. The nurse orders the medicine, Hospice Medicare pays for it, it’s delivered right to the door so that people can spend their time doing the things that they enjoy. One last comment: anybody can make a referral to Hospice. If you know anybody that is suffering or seems to not be getting better, anybody can call our office anonymously, give us a name, and we’ll talk to the doctor to see if their eligible, and if they’re not we just file that away. If they are, it can be the greatest gift that you can give to somebody. We’re very proud of the work we do and the relationships we’ve forged with the patients. We’ve named the rooms in honor of the people who we’ve cared for, so it’s a compliment to our staff and the patients that have worked together. If you want to contact the office, our number is 704-487-4677. My son Jordan and I recently took a small trip to Campbell Law School in Raleigh, North Carolina and North Carolina State University. While there, we visited the Hunt Library on NC State’s Campus, which is an absolutely amazing facility that really shows the benefit of being at the forefront of technology. This library had what’s known as a book robot – this is a small robot that has you plug in the book you want and will then go and get it in the warehouse to bring it to you. Wow! We were also in a group room that had whiteboards for walls, and my son was fortunately able to do some of his Calculus on them. Being in that library inspired me to touch on a subject that some people tend to shy away from. I want to talk about the place of technology in Elder Law. I know there are some individuals and companies who would be hesitant in bringing technology into that field. It scares people, I know that. But in my experience, the seniors I count as my clients are extremely up on technology: they’re on Facebook, they navigate email, they do it all. You’ve heard me talk about our eDocs Access Program, which we’re very proud of. This system allows any of our clients to have access to their important healthcare documents 24 hours a day. Stored on the eDocs system are exact copies of the documents, and clients enjoy bank-level security through the system. When they log in, they have a wallet card which lists their login information. They can also access the program from a mobile device, tablet, or other computer to get to all the documents that they need. Now, this comes in handy if you are going on vacation or have a healthcare incident while away from home, heaven forbid. Transmission of information is also key for keeping the lines of communication open with the seniors and other clients that I welcome to my office. As you browse the website, you’ll notice that there are a plethora of different options that you can peruse in addition to the blog posts. These include videos and interviews, different social media links, and other forms of relevant content. To ensure that communication is consistent, I have even established a newsletter sign-up right on the front page of the site. 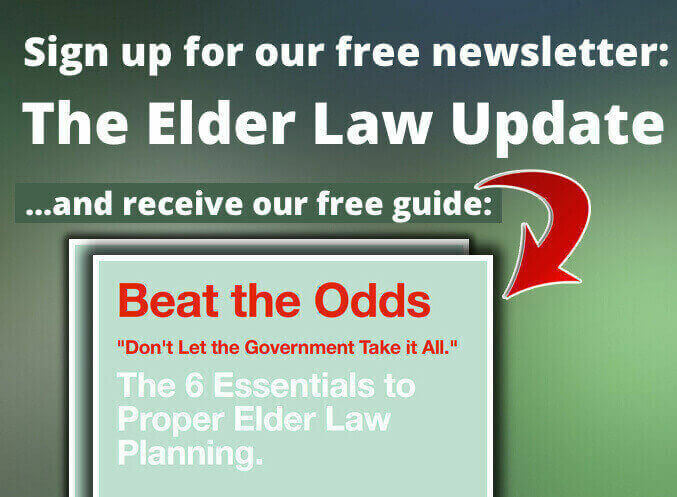 Clients and non-clients alike can enter their information and receive the latest news and information that my company generates about Elder Law and the advances that are being made in that field. Communication and technology are thus key when it comes to Elder Law in keeping the seniors and other clients involved. 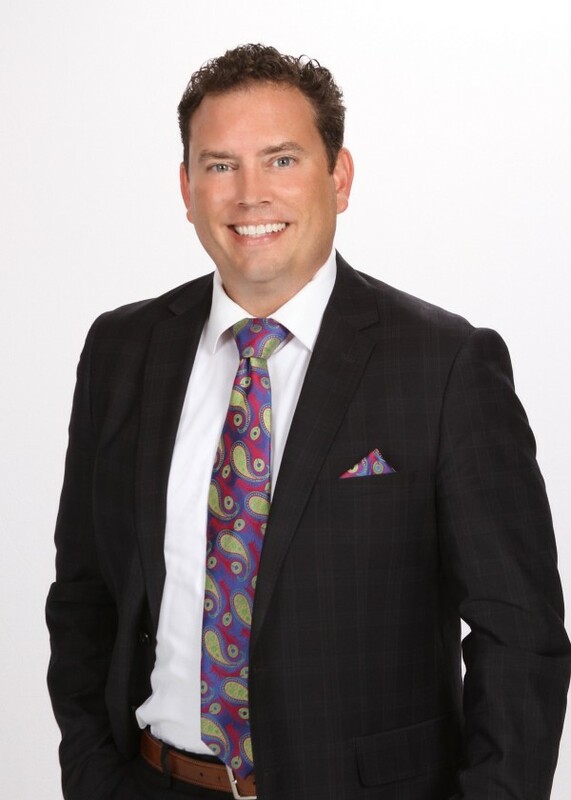 My goal in this process is not just to be your attorney that drafts wills and powers of attorney; my goal is to be an attorney who develops a culture which sparks excitement, interest, and facilitates communication. These are some of the many ways that incorporation of technology can help seniors protect their hard-earned assets and legacies. Constant involvement and distribution of information is therefore essential to this process.